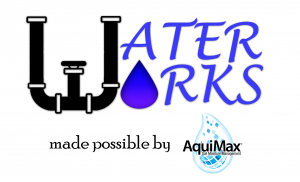 In today’s Water Works, brought to you by AquiMax, maximizing soil moisture can be an integral part of general water management strategies. As energy and water rates are substantial components of the overall cost of production, implementing various techniques that can help reduce usage can be extremely valuable for growers. Along with reducing some of the costs of production, using more effective water management techniques can also provide added benefits. “We see that by improving water availability, we also increase yield. We’ve done over 100 research trials for the universities and research companies across the U.S. and we’ve seen consistent yield increases of about five to ten percent across the board,” Obear said. Employing more energy efficient technologies in agricultural operations and developing programs to obtain the most benefit from the least amount of water can also play an important role in cultivating consumer trust. “It’s really important for the ag industry to be proactive and communicate the technology we’re developing and the science that we’re putting behind our water management strategy,” said Obear. Listen to Obear’s interview below.